There is no substitute for the opportunity to communicate face to face with legislators. In March, Debra Hernandez and SECOORA Board members spent time in Washington D.C. meeting with legislators’ staff to educate them on the importance of coastal and ocean observing. Meetings were positive. 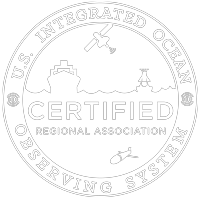 Everyone agreed, ocean observing is important to understanding our coastal ecosystems and supporting our coastal economy. Many of our Congressional members have supported the IOOS Association Closing the Gaps campaign, which will be in its fourth year in FY2020. The challenge continues to be keeping funding for IOOS a priority. The FY 2020 President’s Budget suggests an almost 50% funding cut for IOOS Regional Associations. A cut of this magnitude would mean observing infrastructure would need to be removed from the water and critical data and information products would not be available. Outreach to legislators ensures there are not cuts to SECOORA or other IOOS Regional Associations; making sure everyone continues to have uninterrupted access to the coastal data and information they need. Pictured is Board Member Mitchell Roffer in front of the the United States Capital during his Hill Visits to Washington D.C. Contact us to reach out to your congressional representatives and voice support for SECOORA and IOOS. Email abbey@secoora.org today.